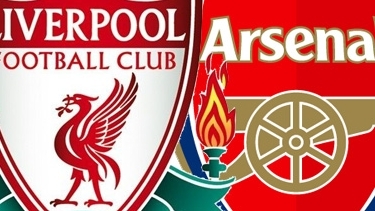 Home > Are Arsenal and Liverpool genuine title contenders? Brendan Rodgers’ Liverpool have signed seven new players following a disastrous 2014/15 campaign. The Reds were again knocked out of the top four and the Champions League, but this year they’ve spent their transfer funds wisely. The 18-time English champions have brought in the likes of Christian Benteke, Roberto Firmino and Danny Ings. All these signings might create a big impact for the Merseyside giants, who’ve recently lost two massive players in Steven Gerrard and Raheem Sterling. But are they good enough to end the 25 year wait and win the club’s first Premier League trophy? Over the years, Liverpool have come close to clinching the title on several occasions, most recently in 2013/14 season where they almost made it before eventually losing out to Manchester City. Liverpool seem legitimate contenders for a top four finish, if their squad stays injury-free and the new strikers start firing on all cylinders. The Anfield faithful can only hope that Jordan Henderson steps in the shoes of their outgoing captain and be the leader they all want him to be. It is hard to see the five-time European champions win the Premier League, but it is very early to completely write them off. Arsenal, on the other hand, look ready to win back their English crown. The Gunners have already picked up their first silverware of the season after beating Mourinho’s Chelsea. The Community Shield win against the English champions will give ample confidence to Arsene Wenger’s men. Arsenal are still looking to strengthen themselves in the goal scoring department. A consistent goal scorer can allow the North Londoners to surge above Chelsea, City and United. Arsenal haven’t sold their best players in the last few transfer windows and have brought in big names such as Ozil, Sanchez and Petr Cech. Arsenal are no more a selling club and they seem ready to challenge for all the major trophies. The Londoners also have enough depth to go far in the Champions League and if the likes of Cech contaminate their winning mentality to the other squad members, Arsenal can certainly win their first Premier League title in over a decade. Is Cristiano Ronaldo in trouble again?